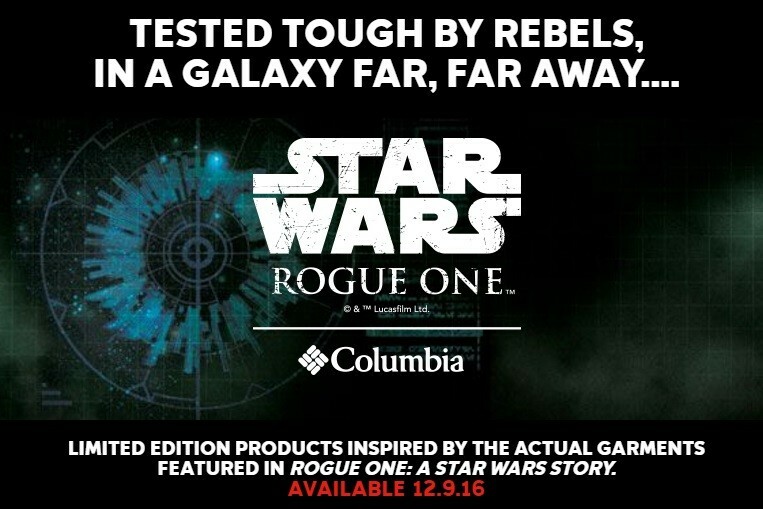 Columbia Sportswear has revealed a limited edition Star Wars jacket collection. 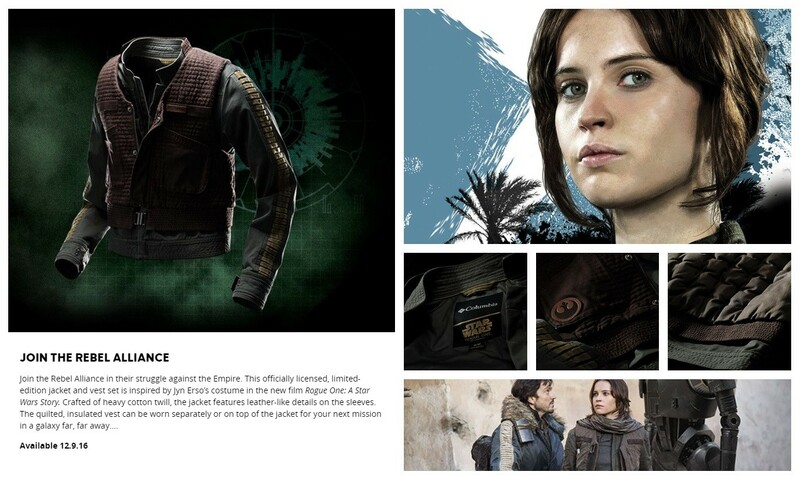 Inspired by the real costumes used the film, the collection features 3 jackets, including a women’s jacket inspired by Jyn Erso. The jacket includes both the under-jacket and vest, which can be worn separately. 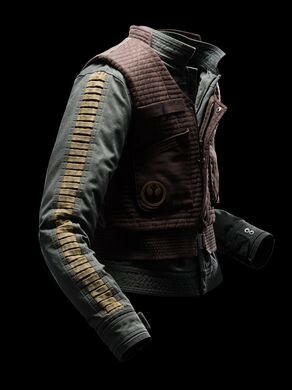 The Jyn Erso jacket will retail for US$400, with the collection launching online at Columbia.com and in selected US stores on 9th December. This is a limited edition collection, and is described as being available in ‘very limited quantities’, so if you’re looking to buy, make sure you don’t miss the December 9th release date! 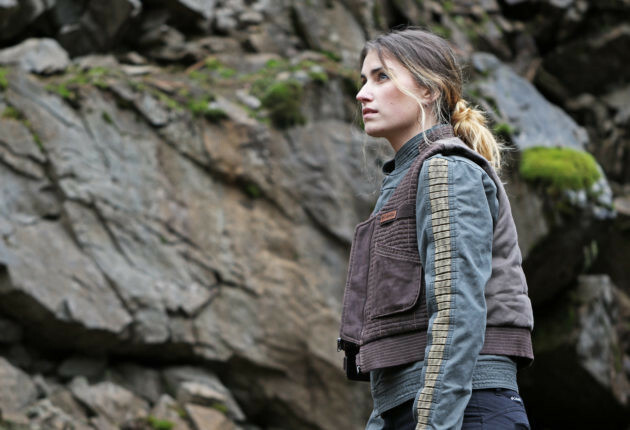 Crafted of stretch twill cotton, Sergeant Jyn Erso’s jacket features rugged leather-look details on the sleeves and throughout the garment. The quilted, insulated vest can be worn separately or layered with the jacket to complete your rebel ensemble, and features genuine leather debossed Rebel Alliance patch. 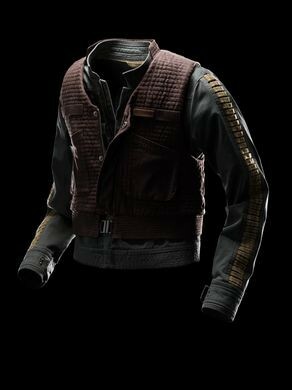 The Jyn ErsoTM Rebel Jacket sells for $400. 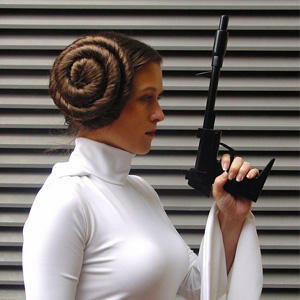 Join the Rebel Alliance in their struggle against the Empire. 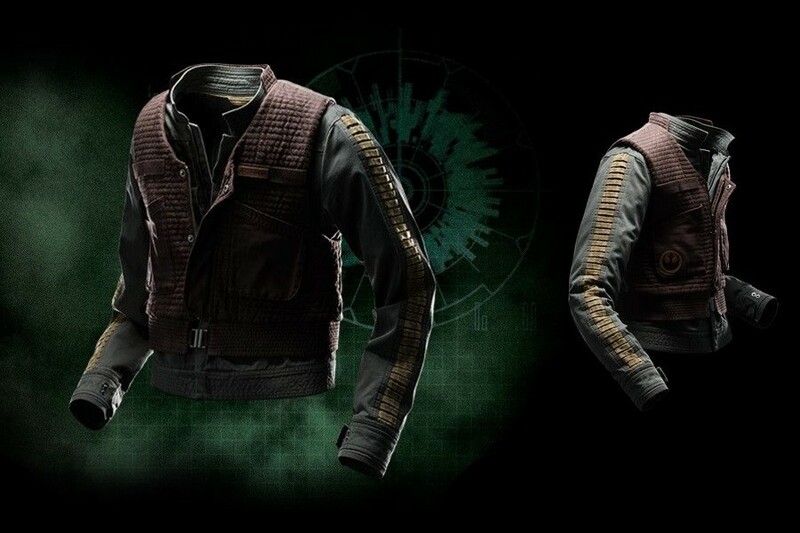 This officially licensed, limited-edition jacket and vest set is inspired by Jyn Erso’s costume in the new film Rogue One: A Star Wars Story. Crafted of heavy cotton, the jacket features genuine leather debossed Rebel Alliance patch is constructed from a stretch twill cotton material that’s rugged yet stylish. 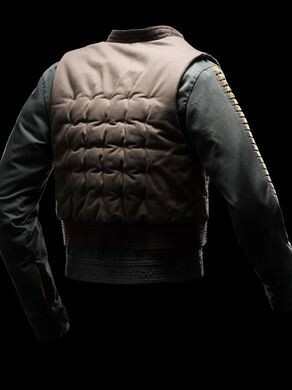 The quilted, insulated vest can be worn separately or on top of the jacket for your next mission in a galaxy far, far away….